Understanding Bitcoin: what’s the difference between hard and soft forks? It occurred to me at a Bitcoin meetup the other week that forks are one of the concepts of cryptocurrency that can be a source of confusion, so I thought I’d have a go at explaining the basics. It is a particularly interesting time for forks as the Ethereum network looks set to go through the uncharted process of a contentious hard fork, but more on that another time. Bitcoin and other cryptocurrencies are distributed networks. What’s incredible about them is that they operate on thousands of different machines with nobody in charge, but are still able to reach a consensus. Bitcoin is basically a giant list of transactions – every transaction that has ever taken place on the network in fact. Every 10 minutes, all the transactions from the previous 10 minutes are collected together into a block, and then this block is added to the end of the chain of all the other blocks which contain all the previous transactions – the blockchain. In order for all the machines to work together, they have to operate according to a strict series of rules. This particular group of rules together are known as the protocol. An example rule of the Bitcoin protocol is that a block can contain a maximum of 1MB worth of transactions. Remember, every participant on the network has a copy of exactly the same rules/protocol. If a miner tried to create a block that contained more than 1MB of transactions and then sent that to other nodes, they would simply say nope, that’s not valid – and then they would discard it instead of passing it on so it can propagate around the network. It would be completely pointless to create such a block, a waste of processing power. Sometimes people believe improvements can be made by changing some of the rules. Some people in the Bitcoin community would like the block size increased from 1MB to 2MB so that the number of transactions can double. This would require a change to the rules of the Bitcoin protocol and could only be achieved through what’s called a hard fork – everyone would have to upgrade their software to the new protocol rules. There are other changes that can be made that involve the enforcement of new rules, but the changes do not require a change to the protocol that everybody agrees upon. For example, if all the miners said they were going to mine blocks with a maximum size of 0.5MB – everybody on the network would accept these blocks as valid since they fall within the protocol’s 1MB allowance. If over 51% of miners all agree to a maximum block size of 0.5MB they can force this change upon the entire network without anybody else having to change their software. 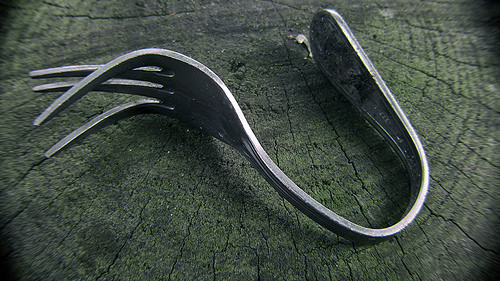 This is called a soft fork. Every node and miner will accept the blocks as valid and build on top of them. You might think if 49% of miners were still creating 1MB blocks, surely the blockchain would have some 0.5MB blocks and some 1MB blocks, since they are all technically valid within the protocol and recognised by all participants as legitimate. It could work like that, but in the case of a soft fork it doesn’t. 51% is the magic number at which point the majority of miners can force all other miners to limit themselves to 0.5MB blocks. Since miners get to choose which blocks they build upon, the 51% of miners could simply ignore any blocks they no longer considered valid within the new rules they have implemented, and so only 0.5MB blocks would ever be included in their blockchain. Some people argue a soft fork is a confusing term because the network itself doesn’t really fork (split in two), and all software would still follow the same blockchain. It is however a fork in the sense that miners who hadn’t upgraded their software would find themselves building incompatible (forked) blocks, it’s just that those blocks would be ignored and consequently orphaned by other miners and would quickly become irrelevant. Technically, a soft fork is exactly the same as a 51% attack, and some argue it should be described as such. I think the big distinction is that soft forks generally have a social consensus and are accepted as improvements to the network, while a 51% attack is widely considered to be harmful. An example 51% attack would be to include no transactions (0MB) in any blocks, as is permitted, and cause the network to grind to a halt. In fact, many would argue the example I gave of of lowering the block size to 0.5MB and consequently halving transaction volume is better described as a 51% attack than a soft fork, but it was easier to explain than actual soft forks widely considered improvements such as P2SH and Segregated Witness. In summary, a soft fork involves a change to the rules that only minors must agree upon and implement, a hard fork involves a change to the protocol that every participant must agree upon and implement. There are currently over 5,600 Bitcoin nodes, while only 14 different mining pools have found blocks in the last month. This means soft forks are a lot easier to implement, 400x easier in terms of a rather simplistic count of the number of installations that need their software upgraded. It’s not quite that simple though, consensus is a lot more fuzzy and complicated. In my next article I will talk more about hard forks, which open up a whole new jumble of exciting possibilities and unintended consequences. Stay tuned. Author John HardyPosted on 12 Jul 2016 30 Jul 2018 Categories Explanations, ForksTags hard fork, soft forkLeave a comment on Understanding Bitcoin: what’s the difference between hard and soft forks?